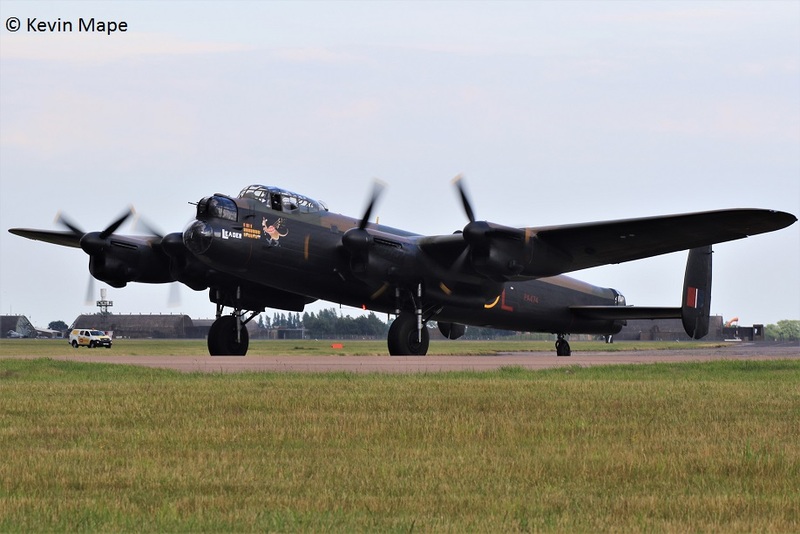 The BBMF have not had the best of luck this season so far with the Dakota having another set back with an engine problem, It is hoped that ARCO would have signed the Lancaster work off and we will see our Lancaster in it’s new marking a step nearer to coming home. PA474 arrived home on the 4th landing after a few rollers. 1st Sat Log thanks to Susie. PS915/BBMF/Spitfire PR XIXe c/s “Battle 1” – Both night stopped at Cardiff. Normal day flying this week. G-MAJC/JC/Eastern/Jetstream 41 c/s “East flt 102″ in “103” – out. ZK342/342/6Sqn – Towed from Hangar 2 to the ASP – Engine runs. 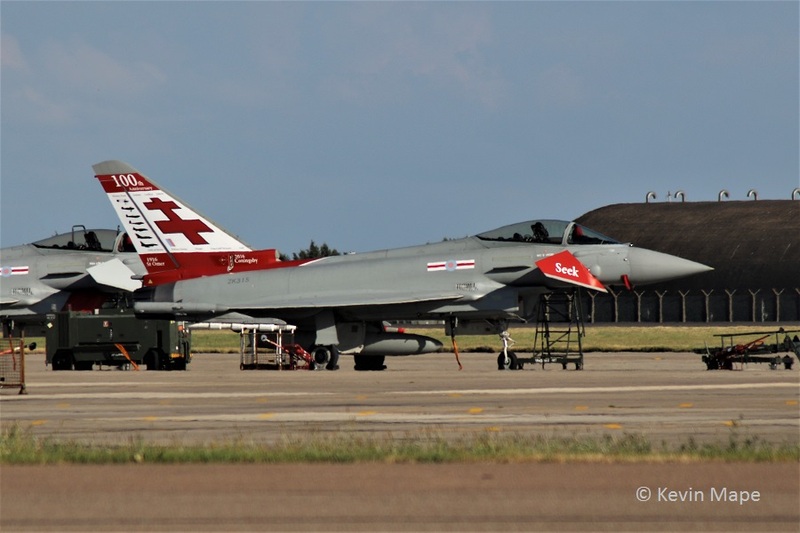 ZJ917/917 code only -Towed from HAS 1 to HAS 5 – Off QRA back to XI(F)Sqn. 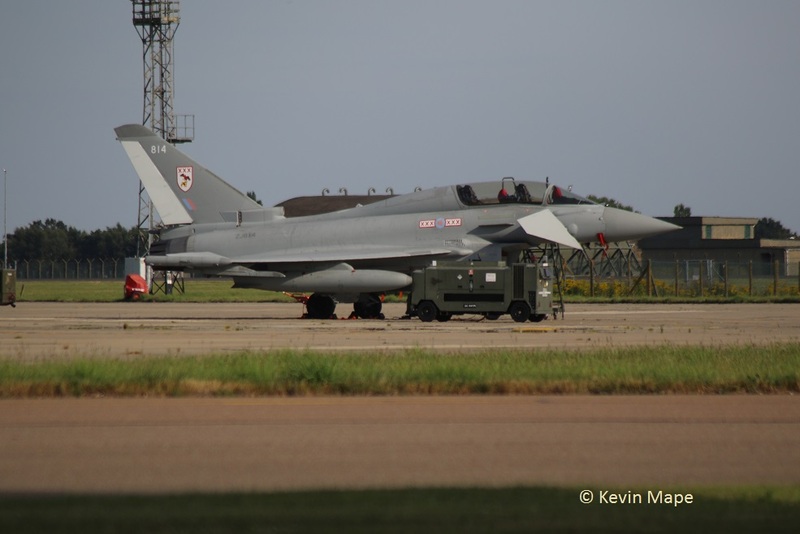 ZJ942/DH/XI(F)Sqn – Towed from HAS 1 to HAS 2. ZJ920/920 code only c/s “Uniform * Yanky 46” – QRA – mission aborted. 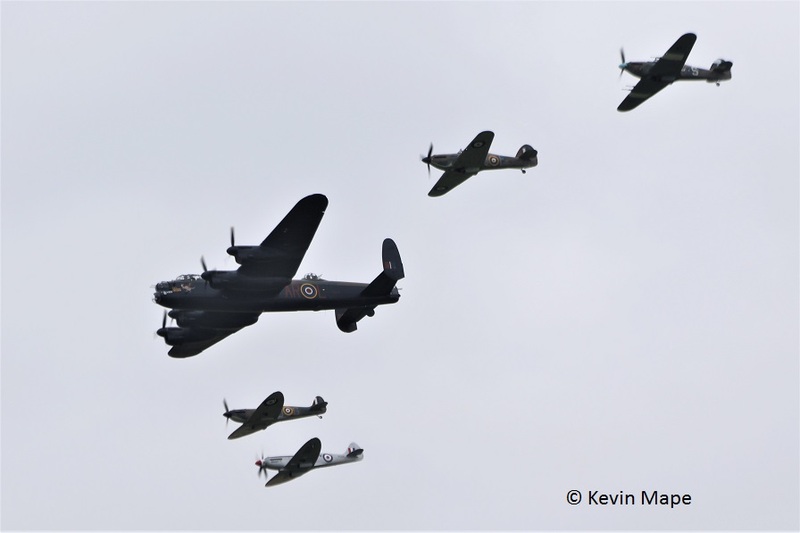 PA474/AR-L – VN-T/BBMF/Lancaster B1 c/s “Lancaster 95” – From Duxford. Foxtrot – ZK304/FM code only. 29(R)Sqn – 812, BV, BY, BE. 41(R)TES – ZK335/335/41(R)TES – f/n with new code ex EB-G.
PA474 with no 2 engine cowling off. PS915/BBMF/Spitfire PR XIXe c/s “Spitfire 90” – Display. ZH104/04/8Sqn/E-3D Sentry c/s “NATO 34” – Overfly. ZK371/Unmarked c/s “Tarnish 05” – Delivery from Warton. PA474/Lancaster BI – engine test on engine No. 2. 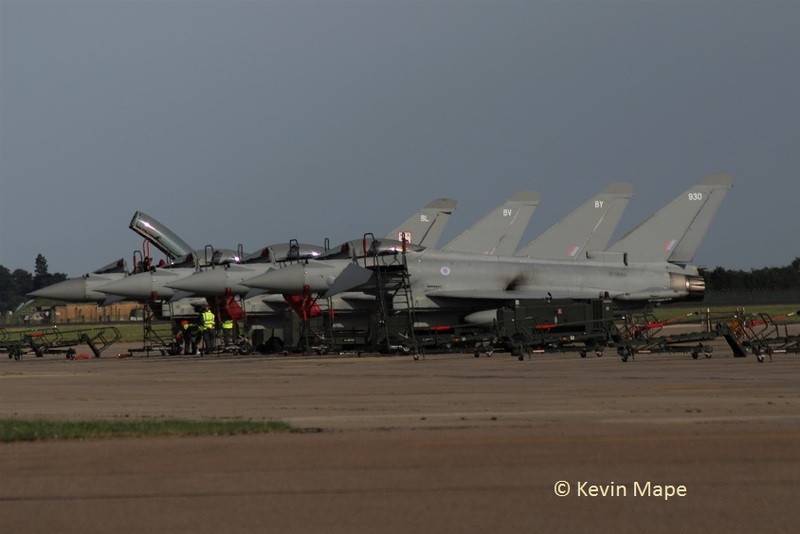 ZJ808/BP/29(R)Sqn – Noted on the Wash pan. ZK371/Unmarked – Towed into TMF. Noted in 29(R)Sqn Hangar – ZK383/FY,ZJ801/801,ZJ814/814. 6th Thur Log thanks to Rich & Rob W.
G-MAJC/JC/Eastern/Jetstream 41 c/s “East flt 102” in “103” – out. ZK379/379/41(R)TES c/s “Apollo 14” – f/n with code change ex EB-B. ZK378/Unmarked c/s “Tarnish 09” – Delivery from Warton. ZZ398/ARMY/Wildcat AH1 c/s “Marine 14” – Fuel stop – Parked on Sierra. 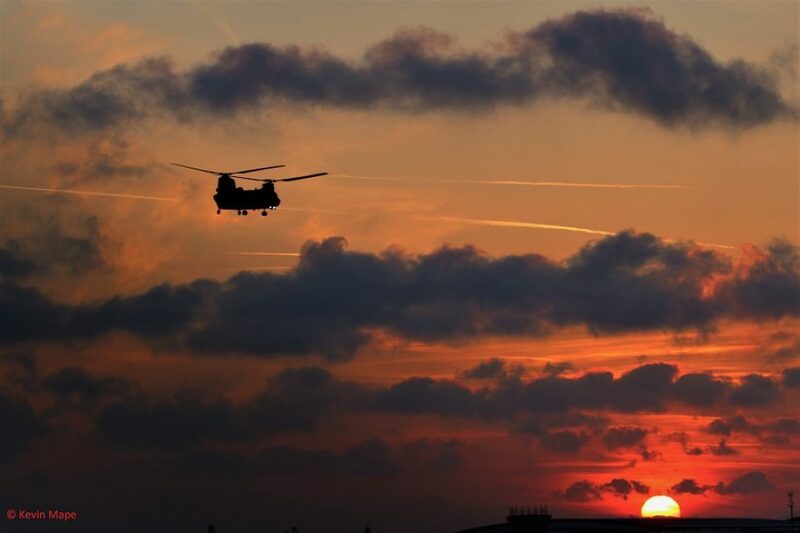 ZZ398/ARMY/Wildcat AH1 c/s “Marine 14” – Departed. 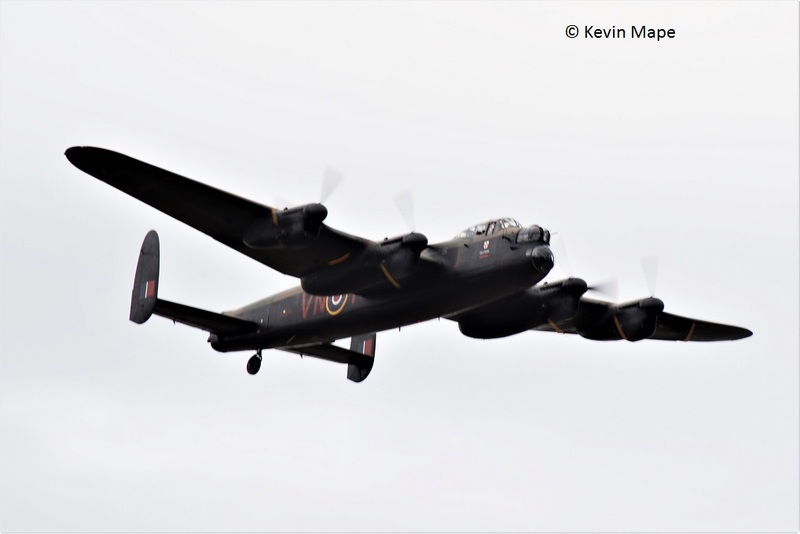 PA474/AR-L – VN-T /BBMF/Lancaster B1 c/s “Lancaster 95” – To Doncaster for flypast. ZK375/Unmarked – Engine runs on the ASP. 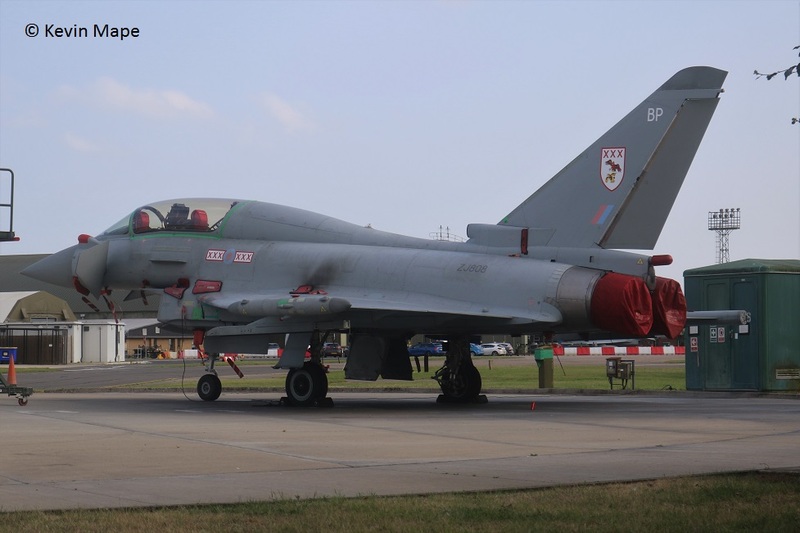 ZJ920/920 code only – QRA change over HAS 1 to HAS 2. 97-0220/LN bl/48FW/F-15E c/s “Duster 41” – Overshoot. LF363/GN-F – SD-A/Hurricane IIc c/s “Fighter 1” n/s at Headcorn. P7350/QJ-G – QV-E/Spitfire IIa c/s “Fighter 2” n/s at Headcorn. 10th Mon Log thanks to Susie & Mark. Noted on Wash pan – ZJ810/29(R)Sqn and ZK367/EB-R/41(R)TES. 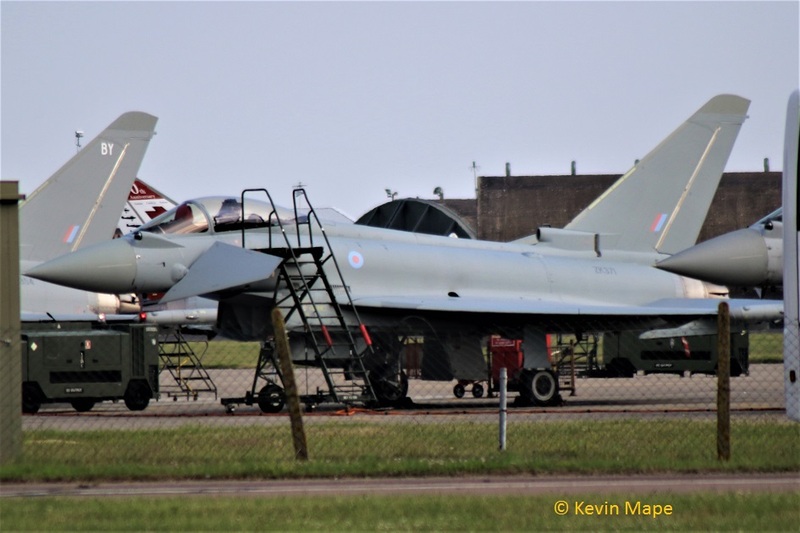 ZJ935/DJ/XI(F)Sqn – Noted on the ASP out of TMF. ZE701/32(TR)Sqn/BAe 146 CC2 c/s “Ascot 1217” – Departed. ZK341/341 code only – Towed over to the TMF from HAS 11. Noted on ASP. Royal visit to the TMF from HRH Prince William,. 29(R)Sqn – BP. 812, BY, BV, BG, 807, BC, ZK343. G-BEZP/Pa-32-300 Cherokee 6 – Parked on the ASP. G-XXEC/Queens Flight/Agusta A109S c/s “Starlight Romeo 1908” – Parked on Sierra. G-XXEC/Queens Flt/Agusta A-109S c/s “Starlight Romeo 1908” – Departed. “Triplex 62” – ground abort. ZK365/EB-L/41(R)TES c/s Apollo 21 from HAS 10. G-FRAS/AS/Falcon 20EW c/s Warthog 81″ – parked on the ASP n/s. 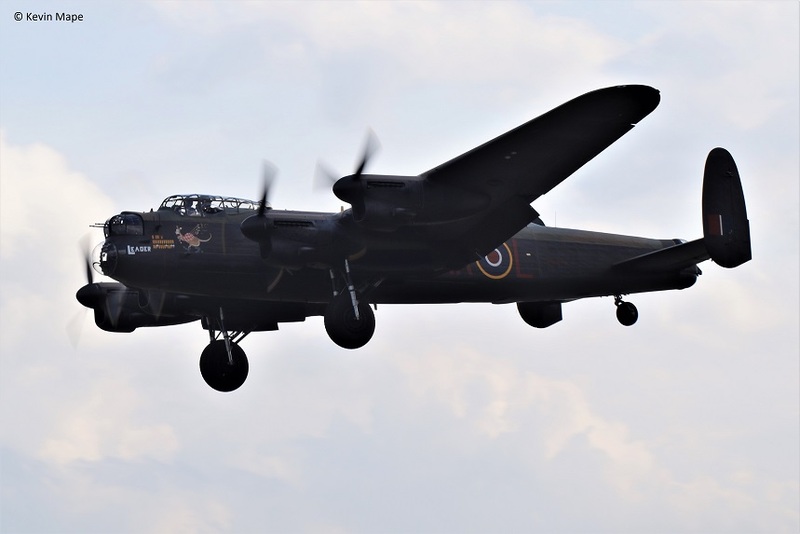 PA474/BBMF/Lancaster c/s Lancaster 99 – Display PDA. PM Log thanks to Mark Susie & Rich. G-BYUC/UC/3FTS/Tutor T1 c/s “Cranwell 57” – Overfly. ZA559/049 code only/Tornado GR4 – Engine test then put away. ZK325/325 code only – noted on tow north side to south side. ZK377/Unmarked – Noted on the ASP – early evening. G-SBOL/Steen Skybolt c/s “GOL” – Based. G-MAJC/Eastern/Jetstream 41″ c/s “East Flight 101” – Parked on Sierra. ZA559/049/41(R)TES c/s “Rebel 88” – ground abort f/n in marks. G-FRAS/AS/Cobham /Falcon 20EW c/s “Rushton 93” – To Tees side. ZK343/Unmarked c/s “Warlord 51” – Ground abort. 29(R)Sqn – ZJ947/EB-L, ZJ814/814, ZJ810/810, ZJ927/927. Noted in Echo: ZK311/N code only. 29(R)Sqn – 930, BG, BE, 343, 814, 927, BC, EB-L, 807, 810, 812. G-MAJC/JC/Eastern/Jetstream 41 c/s “East Flt 102” – Departed. ZJ935/935/XI(F)Sqn Noted towed from South to North. 14th Fri Log thanks to Susie. 29(R)Sqn – 930, BG, 810, ZK343, 814, 927, BC, EB-L, 807, 812. BBMF – PA474/Lancaster BI – Engine runs. PZ865/Hurricane IIc outside BBMF with engine tests . Thanks to Susie for all the logs this week. ZJ923/923 code only c/s”**Mike 42″ QRA waitied on ORP then returned to Shelter. G-PIPV/AA-5 Tiger c/s “Golf Papa Victor ” – Departed. G-FRAL/AL/Cobham/Falcon 20EW c/s “Vador 62” – parked on the ASP. 29sq 814, 930, BY, BV, BL. 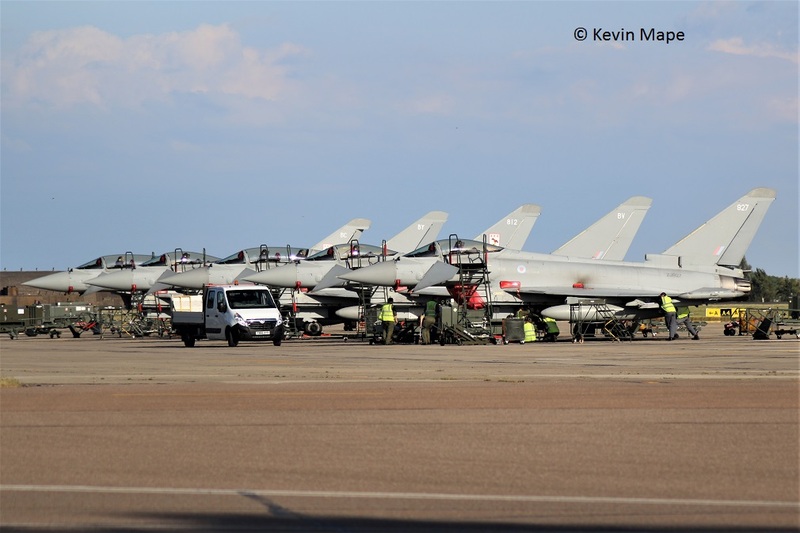 ZA559/049 code only/Tornado GR4 – Towed from Hangar 3 to the South side – returned later. ZK304/FM code only – Towed from Hangar 2 to APU Tunnel. TE311/Spitfire LFXVIe – Engine runs outside BBMF. PA474/Lancaster B1 – Parked outside BBMF. ZG771/133/ code only/Tornado GR4 c/s “Marham 48” – Overshoot. 91-0416/SP rd/52FW/F-16C c/s “*********” – Emergency landing – To Sierra. 96-080/SP rd/52FW/F-16C c/s “**********”- To Sierra. 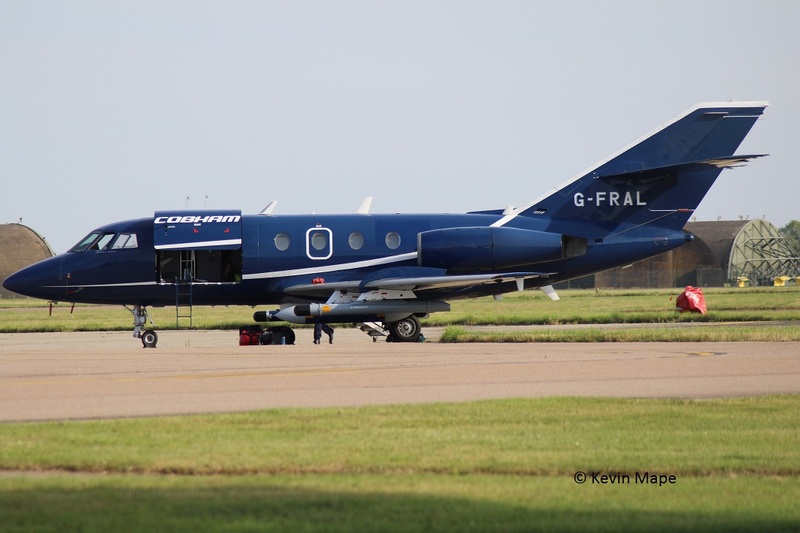 G-FRAL/AL/Cobham/Falcon 20EW c/s “Tasmin 71” – Mission. G-MAJU/JU/Eastern/Jetstream 41 c/s “East Flt 104” in “105” – out. 19th Wed Log thanks to Garf. ZJ946 /All black – Noted in the Paint shop. G-MAJU/JU/Eastern/Jetstream 41 c/s “East Flt 102” in “103” – out. ZA560/EB-Q/41(R)TES/Tornado GR4 c/s “Rebel 87” – PD at Durham Tees- side. G-FRAL/AL/Cobham/Falcon 20EW c/s “Tasman 72” – Aborted take off. BBMF – TE311,WK518/C(In the Hangar),PA474. Wash pan – ZJ814/814/29(R)Sqn – It’s last wash. *WFU awaiting RTP. QRA – ZJ929/929 – HAS2 to HAS 1. 29(R)Sqn – 812, BV, BY, 810, BG, FY, BC. WK518/C/Chipmunk T10 – South side. G-MAJU/JU/Eastern/Jetstream 41 c/s “East Flt 105” In “106” out. PA474/BBMF/Lancaster B1 c/s “Lancaster 99” – Rollers. 24th Mon Night flying this week. Log thanks to Susie. Noted on wash pan – ZK343/unmarked. 7 more Typhoons flew after 10 pm. ZJ930/930 code only – Noted outside 29Sqn hangar. ZA947/AI/BBMF/Dakota III – Noted outside the North side of Hangar. 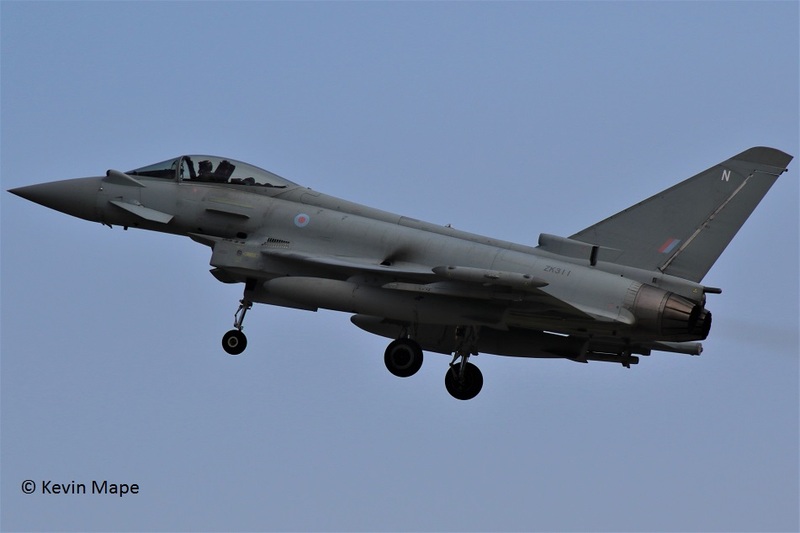 ZJ942/DH/XI(F)Sqn – QRA change over to HAS 2. ZK335/335/41(R)TES c/s “Rebel 85” – Mission abort. ZK349/349 code only – engine runs on the ASP. ZK335/335/41(R)TES c/s “Apollo 11” – To Lossiemouth. ZK352/BV code only c/s “Typhoon 45” – Display. **-0050/CV-22B Osprey c/s “Knife 71” – Low fly through. ZK335/335/41(R)TES c/s “Apollo 11” – Return from Lossiemouth. Noted in TMF Hangar ZK345/EP. Night flying 19-37pm Log thanks to Garf. ZK310/310 code only HAS 1 to Echo. 28th Fri Log thanks to Susie & Mark. ZK300/Unmarked c/s “Lossie 57” – Arrived from Lossiemouth. 10:00 AM Log thanks to Susie. G-FRAH/AH/Cobham/Falcon 20 c/s “Vader 61” – Landed. 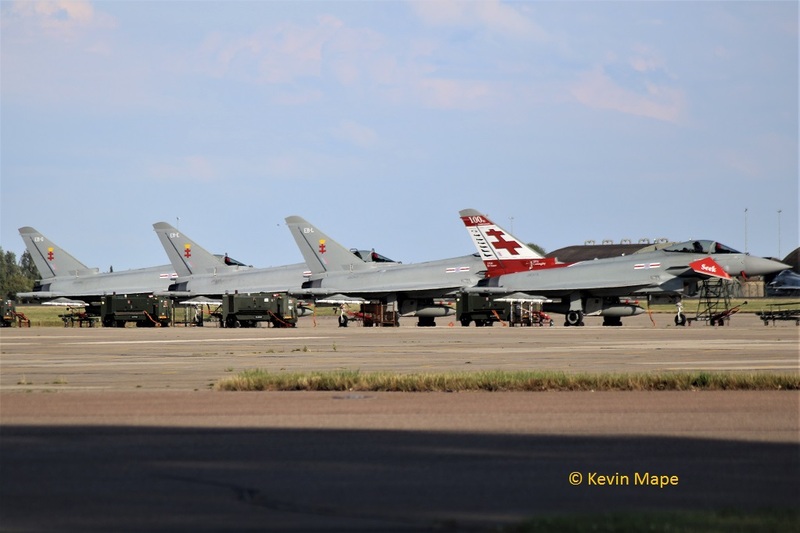 Deployed in Rumania – ZJ921/921,ZJ923/923,ZJ928/928,ZJ939/939. 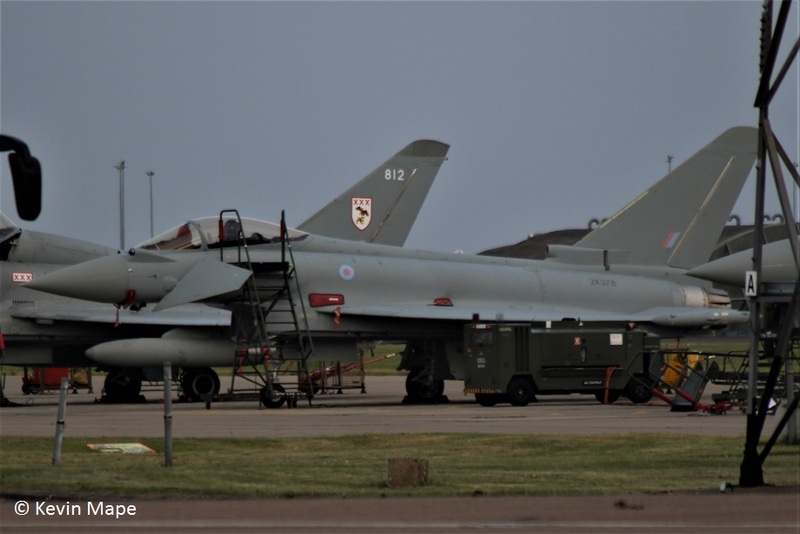 Typhoon T3 – ZJ804/804,ZJ810/810, both in full 29(R)Sqn marks. * – ZK342 is in full 6Sqn marks. *– ZK368 is in full II(AC)Sqn marks. * – ZJ914 & ZJ942 are both in XI(F)Sqn marks. Also noted parked on the ASP – ZJ937/937/XI(F)Sqn marks. f/n with 937 code. 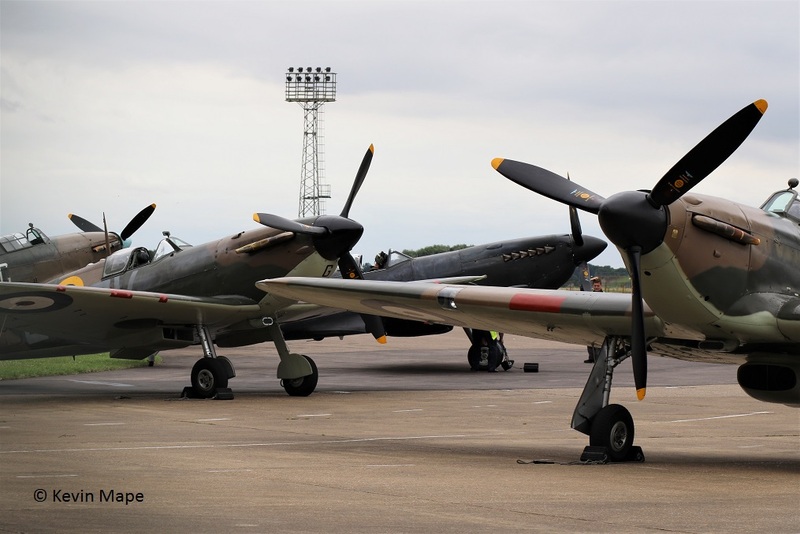 Hurricane IIc – LF363/GN-F – SD-A,PZ865/EG-S.
Spitfire PR XIXe – PS915/ silver marks. Spitfire LF XVIe – TE311/All black. 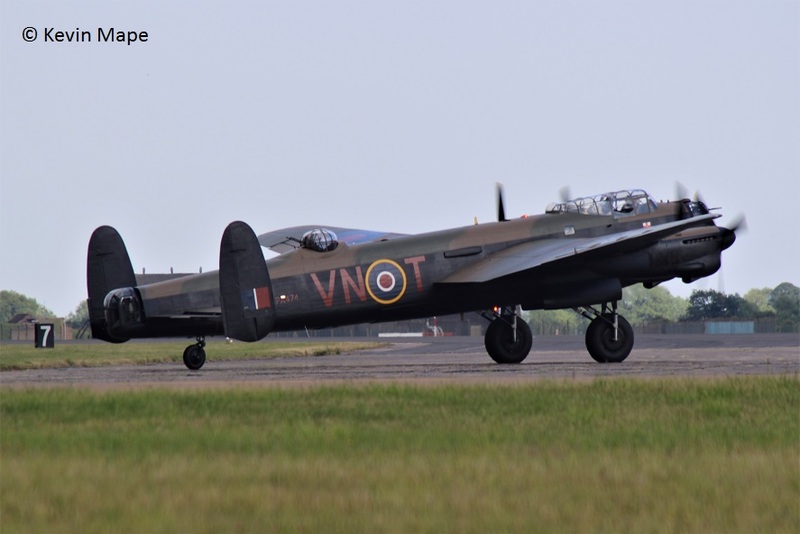 Lancaster B1 – PA474 / AR-L – VN-T.
ZJ935 : DJ : XI(F)Sqn : Arrived 10/3/17 as “Lossie 97” – Noted on the ASP 10/7/17. Recoded 935/XI(F)Sqn f/n 13/7/17. ZJ946 : EJ : code only : Arrived 26/1/17 as “Lossie 58” to Paint shop for stripping 20/2/17.To TMF minus paint 6/3/17. 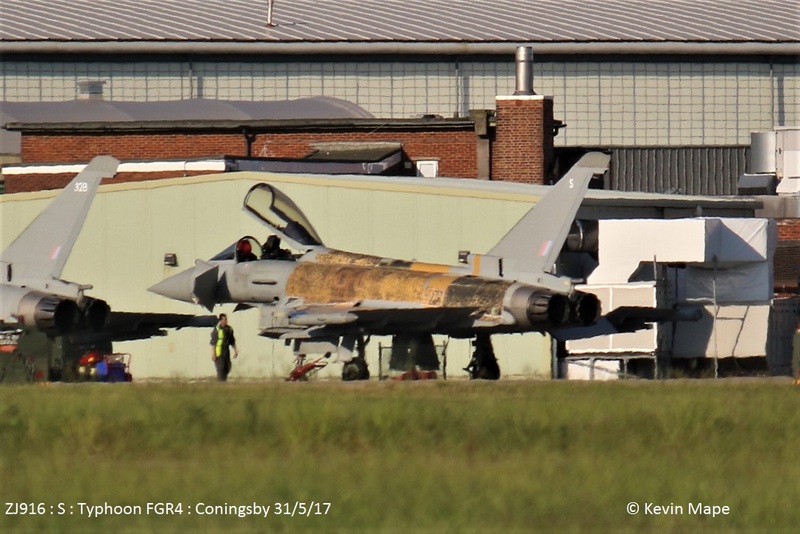 Noted back in paint shop for repaint -20/7/17. ZK301 : EW : code only : Arrived 9/2/17 as “Spartan 12” – Towed into old paint shop – 6/3/17. ZK328 : 328 : code only : Noted on the ASP 1/6/17 , and again on the 26/6/17. ZK332 : EB-J : code only : Noted on the ASP 13/6/17. ZK345 : EP : code only : Arrived 16/6/17 – Noted outside TMF 27/6/17. 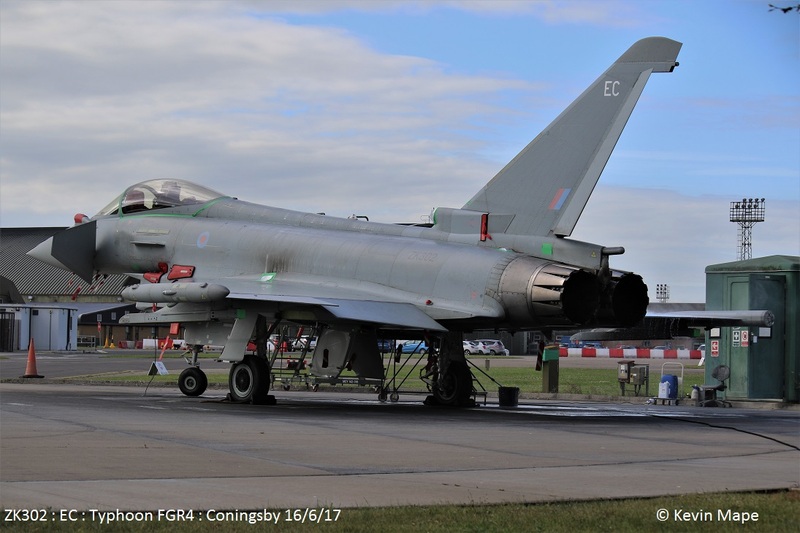 ZK348 : FN : code only : Arrived 27/4/17 as “Typhoon 247” – Towed into APU Shelter 2/5/17. ZK377 : Unmarked : Arrived 22/5/17 as “Tarnish 29” – Noted on the ASP 12/7/17. ZK326 : FB : 1(F)Sqn – Stored in Hangar 2. ZK342 : 342 : 6Sqn : Arrived 22/5/17 as “Lossie 37” – Noted on the ASP 27/6/17 – flying with XI(F)Sqn. 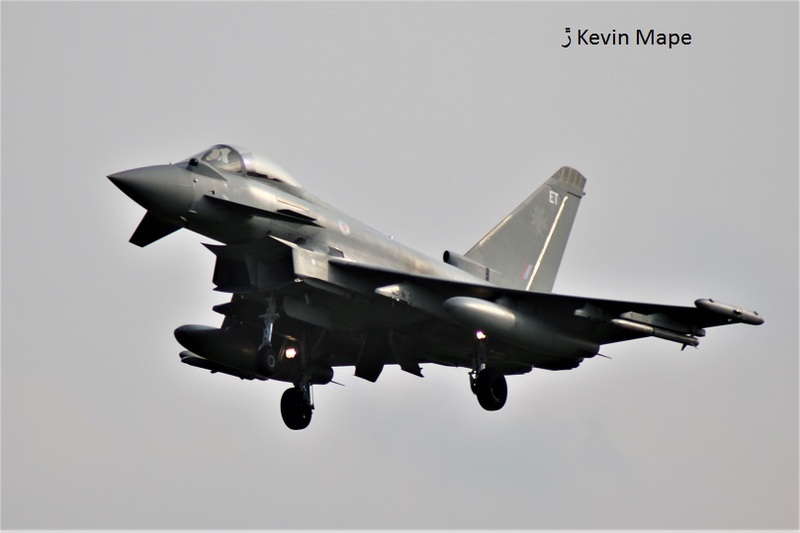 ZK380 : T : II(AC)Sqn : Arrived 29/11/16 as “Typhoon 21” – Noted in the APU Tunnel 4/4/17 – Recoded 380 code only – Rolled out of the Paint shop 3/5/17. Back into TMF for GZ upgrade. ZJ815 : Fuselage remains have been moved into HAS 61. ZJ944 : Unmarked : Stored damaged. CAT 3 Awaiting repair.- HAS 53. ZJ815 fuselage remains stored awaiting disposal.